Spring in Wisconsin came with the Easter Bunny. 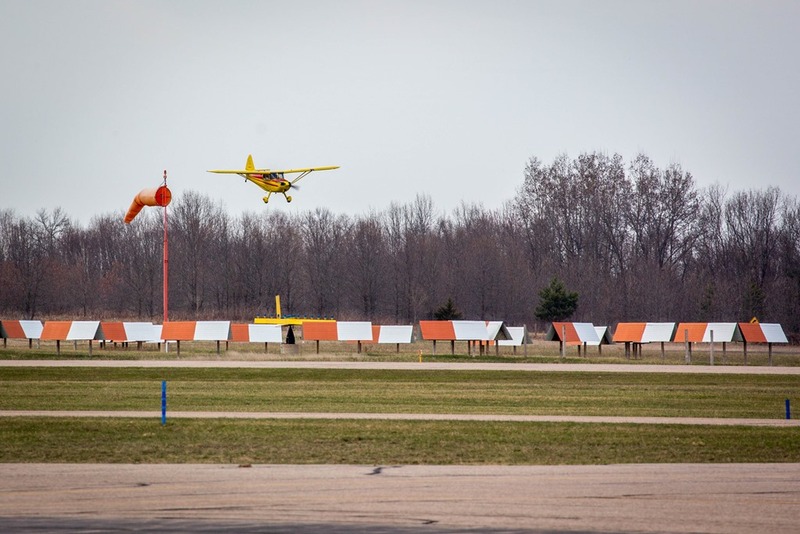 With sunshine and temperatures climbing above the 40s for the first time, and shooting for the mid 70s, it seemed the perfect day to go flying. Curious to witness whether others were so inspired, after lunch I set out on an impromptu Sunny Sunday Airport Survey. 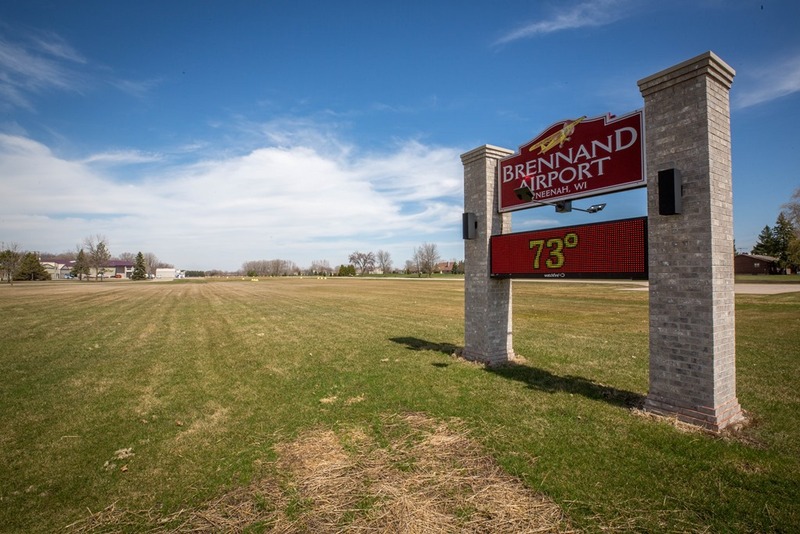 Riding a 120-mile triangle, I’d visit Brennand Airport (79C), a privately owned, public-use airport in Neenah. 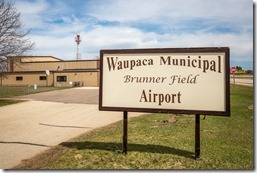 Then it was off to the Waupaca Municipal Airport (PCZ), with a finish line at the Wautoma Municipal Airport (Y50). 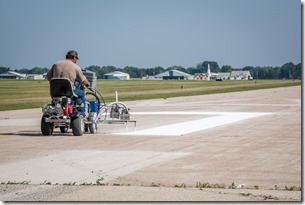 They had three things in common: no control tower, paved runways, and service to a small town. 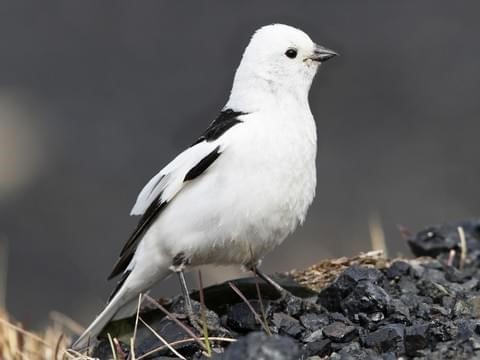 They also had one more thing in common; as I approached each of them in turn, I saw no airplanes flying to or from them. Nearly a dozen cars filled the parking spaces outside the two-story airport office with its unique twisted brick pillars that support the second-floor deck. The only person I saw was a young man, MJ, sitting in an Adirondack chair out front. 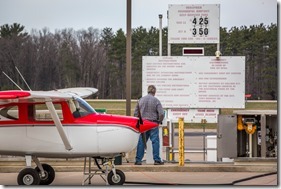 With self-service fuel, I didn’t think he was a line person, but maybe he was one of a dying breed, the airport kid. His answers to my questions whether anyone had gone flying today led me to believe this was not the case, but he thought he’d heard an airplane takeoff earlier in the day. Heading to the far end of the line of hangars in search of other aeronautical humans, I passed the airport’s open maintenance hangar. 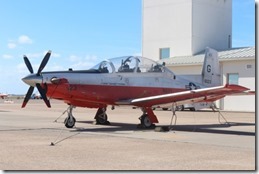 Perched in the doorway was a flashy RV-10. Behind it was a Robinson helicopter, and behind that a decowled Cessna. As I passed, a gentleman said I was welcome to come in and look around. I promised to stop in on my way back. 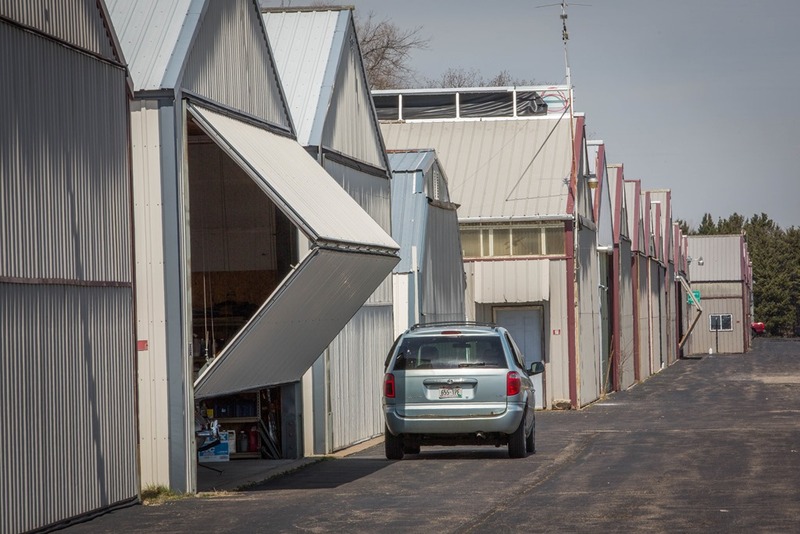 Only two of the 25 hangars had their bifold doors lifted slightly to form ventilating isosceles triangles that seemed to be pointing at the windsock on the other side of the runway. Both of them were homes to Cessna 150s whose owners were silently at work. 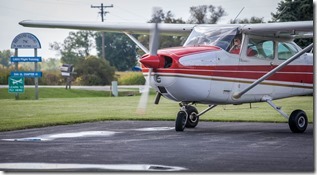 The second 150 was wingtipless, and it shared the space with on old Cessna 172. Through the door’s open apex I could see that it was red and white and that it wore two venturis on its right flank. 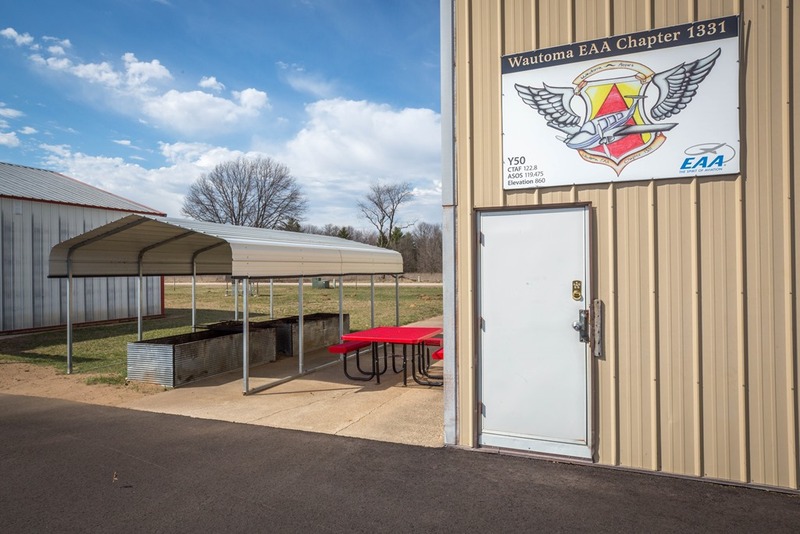 There were cars parked between two other hangars, one a Ram pickup with AOPA Aircraft Owner sticker on its back window, which suggested that its owner was winging his or her way to an Easter assignation. There was no car next to the door with the hangar nameplate that bore the resident’s name and the lithographed scribe of a homebuilt Acro Sport II. Pity. Today was prime open cockpit biplane flying weather. 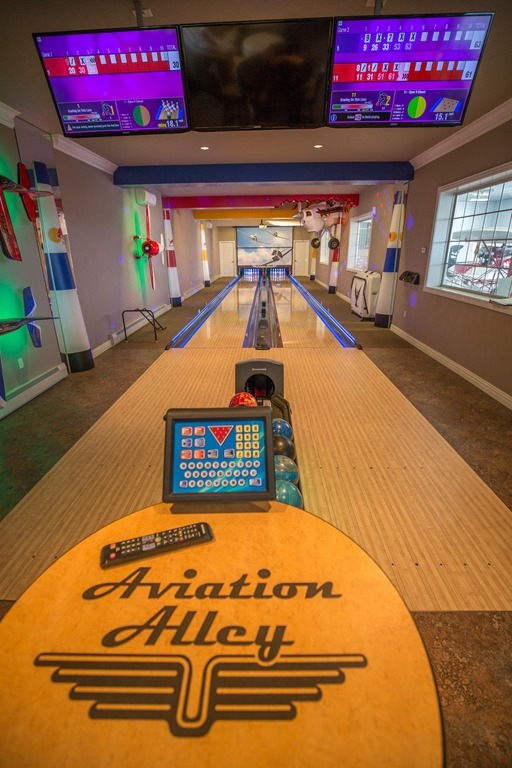 Stepping through the maintenance hangar to the office, to my right was a magnificent two-lane aviation-themed bowling alley. To my left, just past a short alcove, was an open-plan lounge and commercial kitchen, with an island covered with a tasty looking meal. A crowd three generations strong were making their way to the ally, when a kind woman said hello. Colleen Mustain, who owns the airport with her husband, Keith, said the gathering was an Easter party with their kids and grandkids. After introducing me to her husband as he passed, I said I didn’t want to intrude. It was no problem, they said, and I was welcome to come back any time. You can count on that. 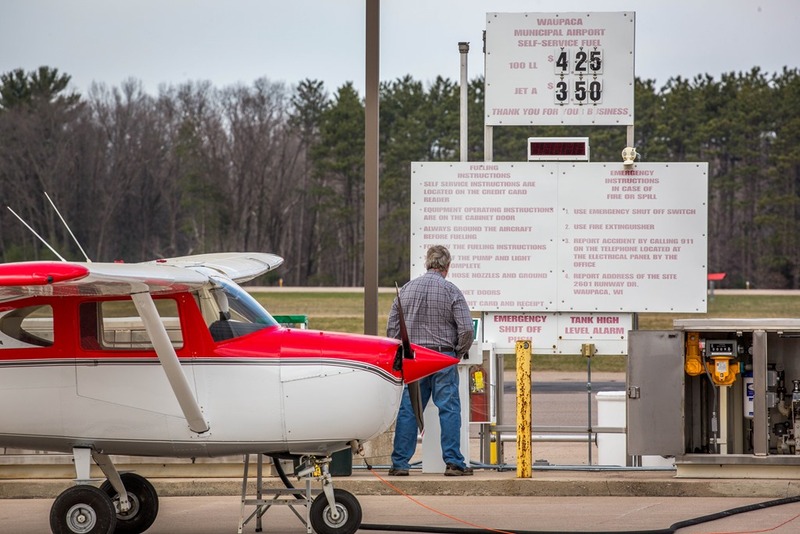 A Cessna 172 and Piper Tomahawk were tied down on the ramp at Waupaca, and the pilot of an old straight-tailed Cessna 150 was reading the instructions at the self-service fuel island. While he was reading, a bright yellow Stinson 108 with red trim worked its way around the island and found a place on the ramp, taking the Tomahawk’s place as the man and women in it taxied to the other side of the fuel island. Finally, someone was putting the beautiful spring day to proper use. In the terminal, a young man with long hair sat looking out at the ramp from the office’s bay window. 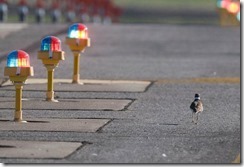 Patrick, who works for Beth, the contract airport manager, had the weekend duty. 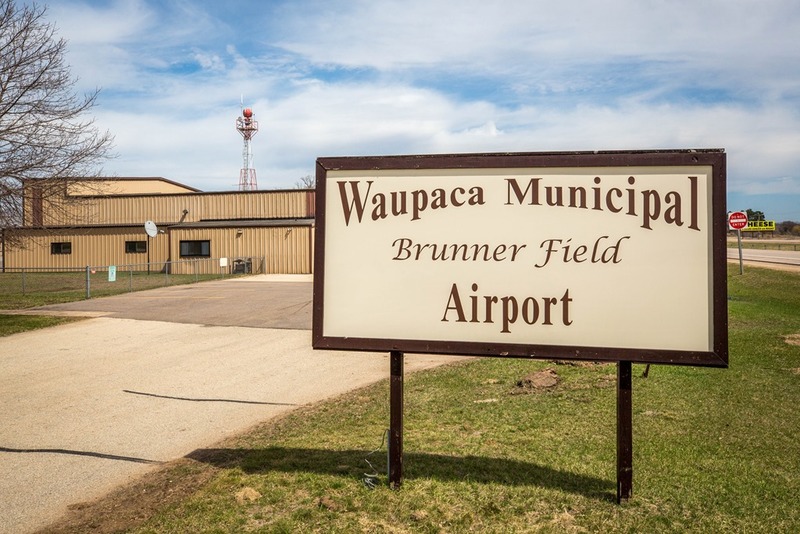 He’s been working at the airport for about a year, and when he’s not working, he’s “doing homework.” Such is the life for a student at Weyauwega High School. 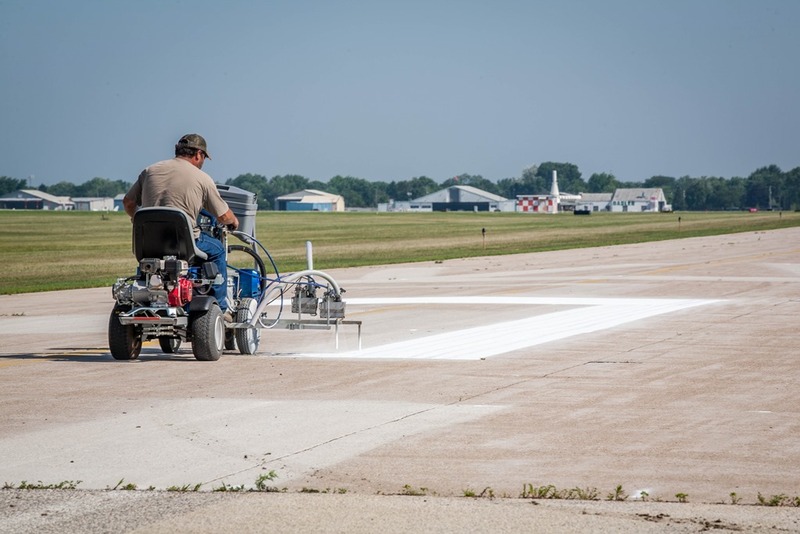 His dad, Brian, has the contract to plow the ramp and runways, and made the suggesting that a job was a productive use of free time. Out for a short jaunt because it was a nice day, in chatting about flying he said that one of his flying friends had just passed. We agreed that in this chapter of our lives, this event was becoming more common and it made our adventures even more special. The loss was particularly poignant for Bob because his friend joined him for extended trips to the mountains and other regions in the RV. Quickly turning to happier topics, he gave me a bundle of other airports and activities to investigate on my next airport survey. 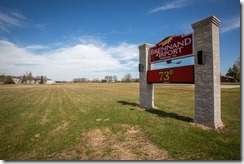 The airport is just past the south edge of town. 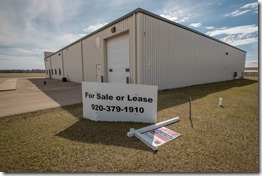 A large hangar with a For Sale or Lease sign greets those heading to the terminal. The parking lot was empty. Walking back to the hangar for sale revealed that at one time it was home to an operation that catered to ultralight and light aircraft. The middle section of the sign, bearing the majority of its name, was missing. On the left third of the sign was a single-seat ultralight pusher, a make and model unknown to me. On the right third was the image of a composite Quickie Q2. 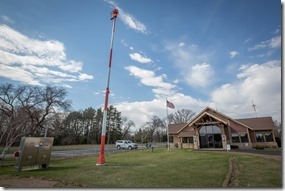 Asking if there had been any activity at the airport this day, he said it was a sleepy town, and “no one is flying today—it’s Easter. Besides, it’s too windy.” Pointing at the weather station screen over his head, the wind was blowing a steady 14 knots from the south. 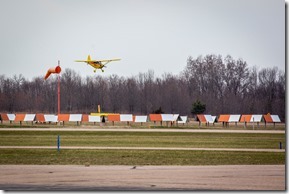 It wasn’t much of a crosswind component, but maybe if you hadn’t flown all winter…. It was a semi-sad finish to my survey. Surely there was more activity than this, and if not, I wondered about the economic sense of each airport’s aircraft owners. Maybe it’s just my frugal tendencies, but I can’t see the fixed-cost rationale of hangar rent and insurance for an airplane you rarely fly. I rather fancy myself as a translator of aviation speak, trying to be sure people who read about our industry really understand what I’m trying to explain, whether that’s in print or online. The past few weeks have been a nightmare for most journalists trying to explain the intricacies of the 737 MAX 8 & 9’s Maneuvering Characteristic Augmentation System, or MCAS. Because of the weight and the placement of the new CFM International LEAP-1B engines added to create the MAX, the nose of the aircraft could pitch up more than most pilots might expect when power was added, especially at low speeds, like those experienced during takeoff. 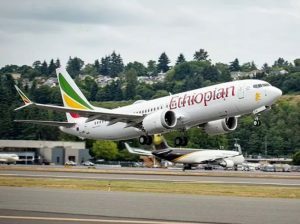 Today I just read that the Ethiopian airplane was less than 1,000 feet above the ground when the MCAS apparently fired and wrestled control of the aircraft away from the pilots with obviously disastrous results. That wouldn’t have given them much time to react. Right now, there’s little to be gained by explaining what the Ethiopian pilots should have done or what they should have known in order to maintain control of the airplane. Boeing certainly didn’t help the situation initially by not telling pilots the MCAS even existed. After the Lion Air accident, Boeing did publish a bulletin explaining that an MCAS upset could look very much like a trim runaway. Whether or not the Ethiopian crew saw the bulletin is anyone’s guess. If they did read it, why they were not able to disable the trim is another question we’ll need to wait for the final accident report to explain. Since the Ethiopian accident, I’ve been asked more than a few times to provide some context to this saga, a context that non-industry people would understand. 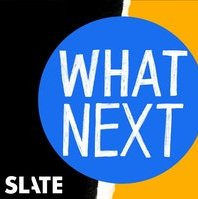 I spent some time yesterday with Mary Harris of Slate.com’s “What Next,” podcast for just that reason and I wanted to share it with you. I thought Mary asked some really insightful questions. Hopefully, I offered a few insightful answers as well. 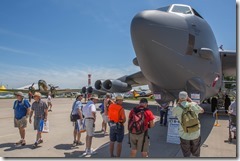 Reading that the US Air Force will be requesting proposals from engine makers to propel the B-52’s active-duty service through 2050 didn’t surprise me. It continues the decades-long return on aircraft investment, its ability to continue its fundamental mission efficiently and economically. Not every aircraft so endures. Consider the approaching retirement of the B-52’s much younger compatriots, the B-1 and the billion-dollar B-2, which the Air Force wants to replace with the lookalike B-21 that will probably cost several billion per copy. Boeing produced the B-52 for a decade, from its first flight in 1952 until 1962. It entered service in February 1955. The early models in 1956 cost $14.3 million ($133.6 million in 2018 dollars) and the H-model, the recipient of decades of military makeovers, cost new in 1962 $9.28 million ($77.92 in 2019 dollars). (Imagine that, a US weapon system getting cheaper!) 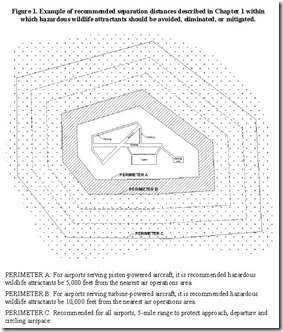 Most likely, Boeing built today’s 76 active B-52s in 1962. 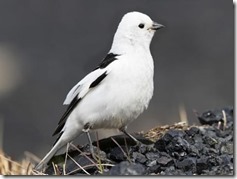 Upon their 2050 retirement (if that indeed happens), you compute the return on their investment by 88 years. This return sparked thoughts of other enduring designs that have returned an aircraft investment well beyond their original expectations. The DC-3 certainly tops this list. Since its first flight in 1937, it has earned its keep for 82 years and counting. 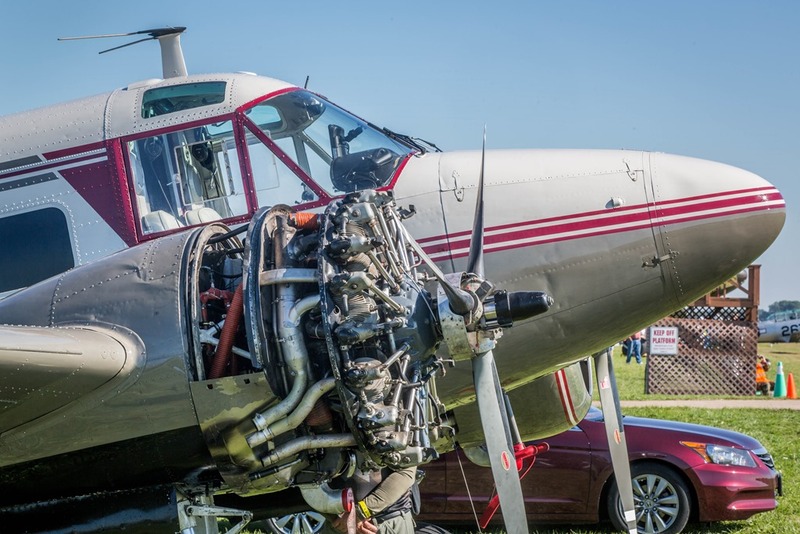 And it will surely continue for decades, until parts for piston-pounding radials disappear, and the Basler Turbo Conversions remanufactures the airframe as a turboprop BT-67. The Beechcraft Model 18 is another enduring design that first flew in 1937. 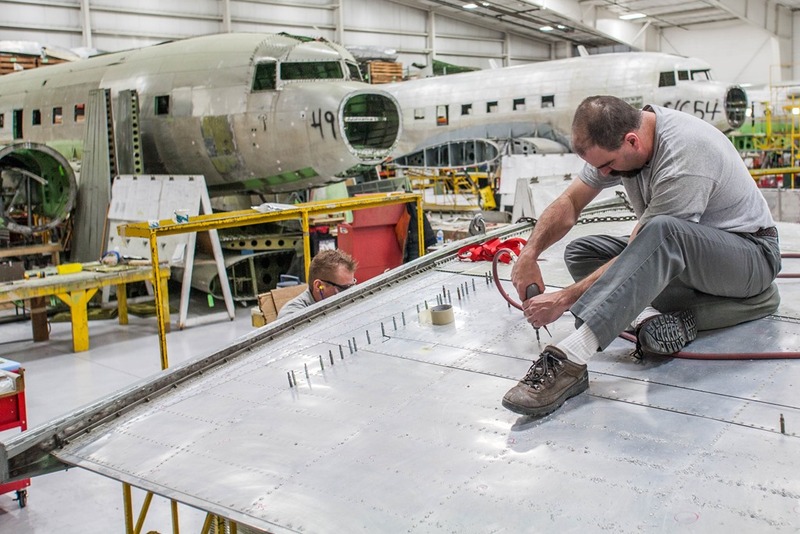 Like the DC-3, most examples earning their keep today were manufactured during and after World War II. Surely, the remaining spare parts for its Pratt & Whitney R-985 radials are counting down its last days. Lacking the multipurpose special mission utility of the DC-3/BT-67, mounting new powerplants would be an investment with no meaningful return. On March 8, 2014, a Boeing 777 with 239 people went missing on a flight between Kuala Lumpur and Beijing. 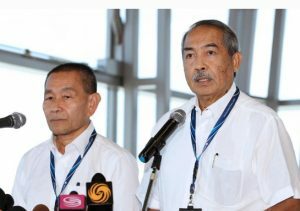 As details emerged within hours of the airplane’s last communication with air traffic control, it became clear that Malaysian Airlines 370 (MH370) was lost … literally; no one knew where the airplane went once it disappeared from radar about 40 minutes after takeoff from Kuala Lumpur. Because the Boeing’s transponder also ceased functioning, tracking the airplane by air traffic control became impossible. 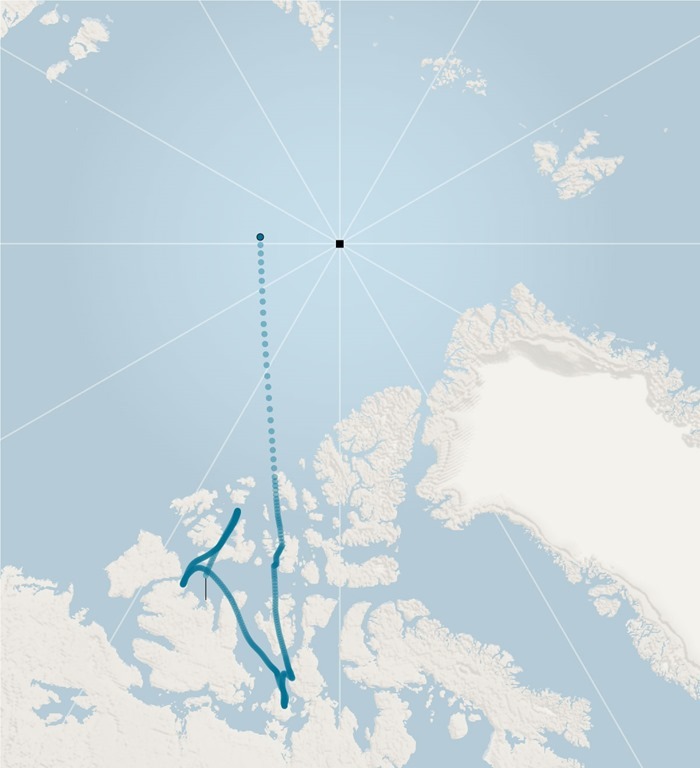 Five years after the Boeing disappeared, setting off the longest and costliest search ever undertaken for a commercial airplane, the question of what happened remains unanswered: was it hijacked, brought down by a mechanical problem or crashed by a suicidal pilot? We may never know, but away from the spotlight on the investigation, the aviation industry has been refining the technology to ensure that an airliner never vanishes again. Over the next three years, airlines will begin plugging into a satellite-based system that will track their planes at all times, anywhere on Earth. In 2014 it was not unusual for airlines to have little direct contact with some of their airplanes for extended periods of time, especially when they were flying over open water where traditional ground communications and radar don’t work well. To their credit, the airlines operate airplanes that are so reliable, that being out of touch for a sustained period of time has never been a real problem. 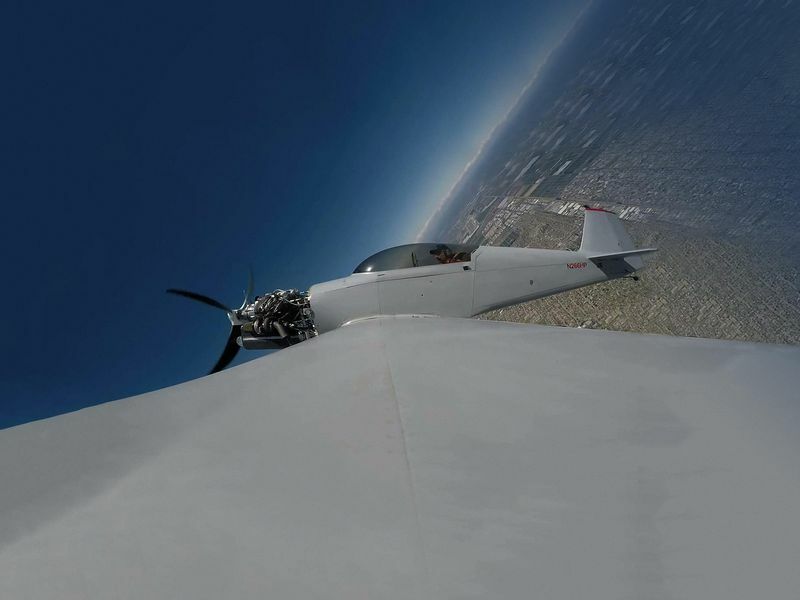 With retention of active duty aviators and recruitment of qualified newcomers to fill empty cockpits a growing challenge for America’s armed forces, might it be time to reopen the flight training door to enlisted pilots who meet the physical and physiological requirements? To be a military pilot today, applicants must be officers, which require a four-year college degree. Is that an essential requirement? Today’s officer pilots hold degrees in almost every discipline from anthropology to zoology. 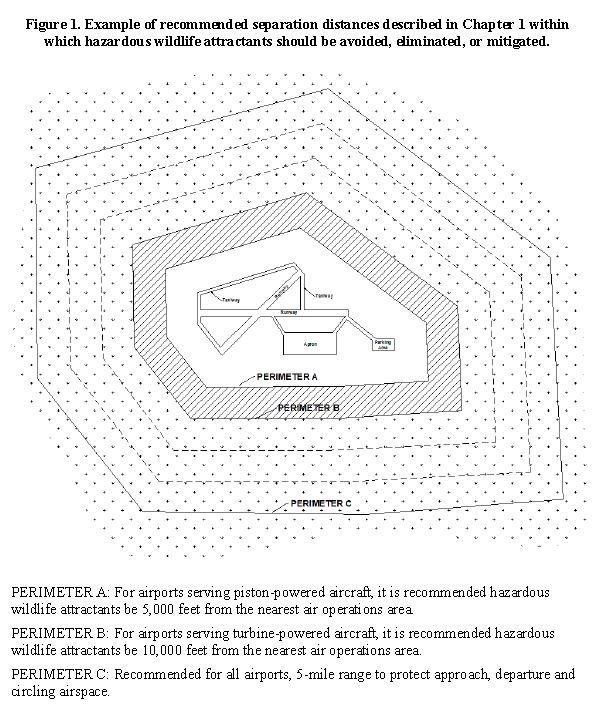 How does this knowledge make modern military pilot training easier? To address its pilot shortage, in 2018, the US Air Force studied the return of enlisted pilots and appointing them warrant officers. 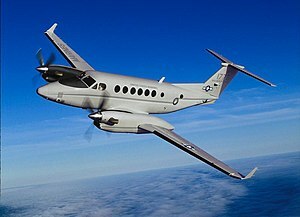 “We have enlisted airmen in our Guard and reserve component who have private pilot’s licenses and fly for the airlines. So it’s not a matter of can they do it, or having the smarts or the capability, it’s just a matter of us, as an Air Force, deciding that that’s a route that we want to take,” said Chief Master Sgt. Kaleth O. Wright, the 18th Chief Master Sergeant of the Air Force in a Military.Com story. The pilot shortage created by World War II led Congress to authorize an enlisted pilot training program in 1941. 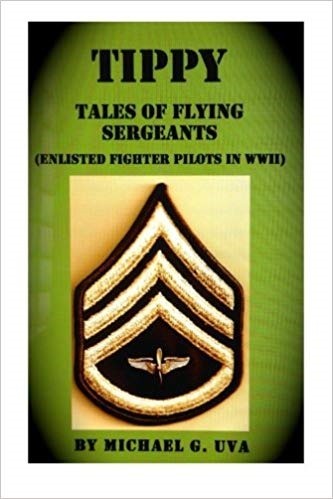 They received the same training as officers and graduated as staff sergeant pilots. 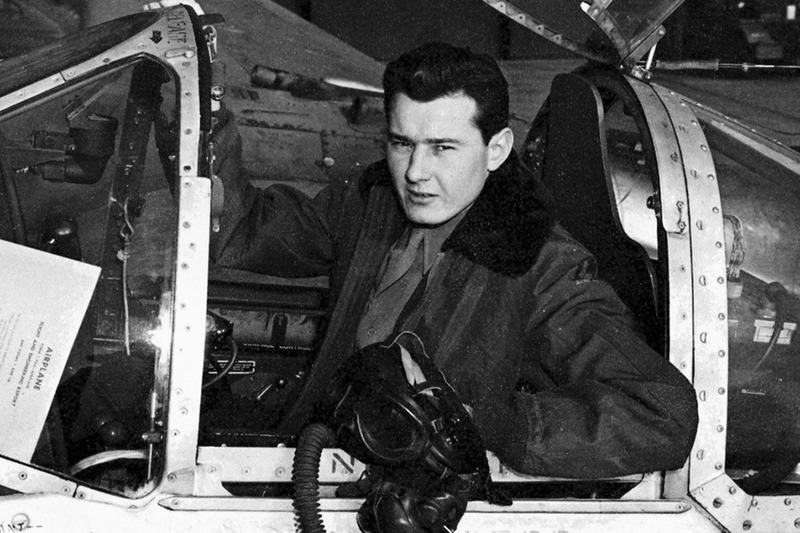 The program trained 2,567 sergeant pilots (among them were a couple you might have heard of, Bob Hoover (here in a P-38), Carroll Shelby, and Chuck Yeager). Of that number, 332 sergeants served overseas and 217 sergeants flew combat. 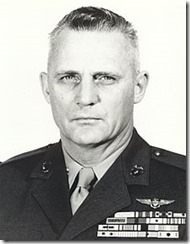 In 1942, the Flight Officer Act created the warrant officer rank of flight officer, which replaced the original program. 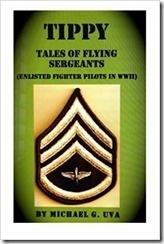 Sergeant pilots elevated to this rank enjoyed the privileges of a second lieutenant. This program essentially continues in the Army today, with warrant officers being the go-to helicopter aviators. And there seems to be no reason it wouldn’t work in the other services, if they can overcome tradition with progress. 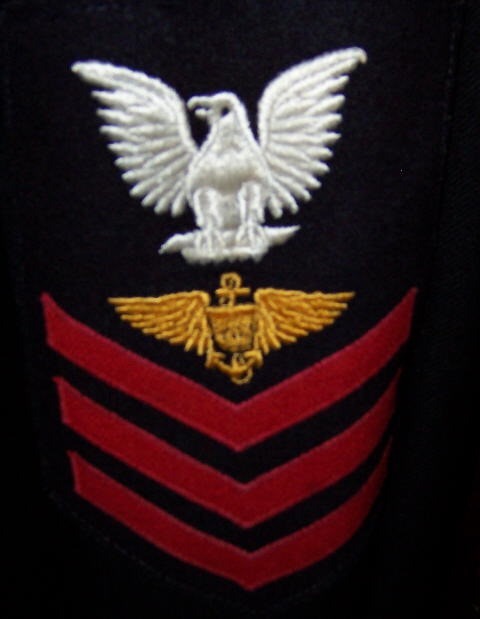 The Sea Services, the US Navy and US Marine Corps, launches its enlisted aviator program in 1916. With America’s enlistment in the Great War, in March 1917 a recruiting program sought 200 enlisted personnel specifically for aviation duty. Of that number, 33 of them completed their training in France, and a few more in Italy. Like the initial enlisted aviators, the World War I pilots flew as first or second-class petty officers. Most of them became commissioned officers. In October 1919, the Bureau of Navigation said, “In the future, it will be the policy of the Bureau to select a certain number of warrant officers and enlisted men for flight training and duty as pilots of large heavier-than-air craft and directional pilots of dirigibles.” The following year they were designated Naval Aviation Pilots. NAP No. 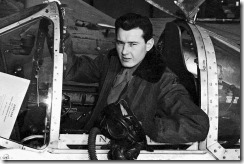 1 was Harold H. “Kiddy” Karr, Quartermaster Chief (Aviation) (NAP). Like commissioned aviators, they wore the Navy’s gold wings on their upper left chest. During the years between the world wars, the Navy had an enlisted pilot requirement of 30 percent. The depression made this goal challenging, and the Navy asked Congress to make it 20 percent. With the depression deepening and budget cuts, the Navy trained no NAPs between 1932 and 1936. After that, the Navy met its 20-percent goal. The number of NAPs increased greatly with World War II, and the need for more officers led many of them (some estimates are up to 95 percent) received temporary officer commissions and designations as Naval Aviators, which can only be bestowed upon commissioned officers. One downside to being an enlisted pilot was serving two masters. 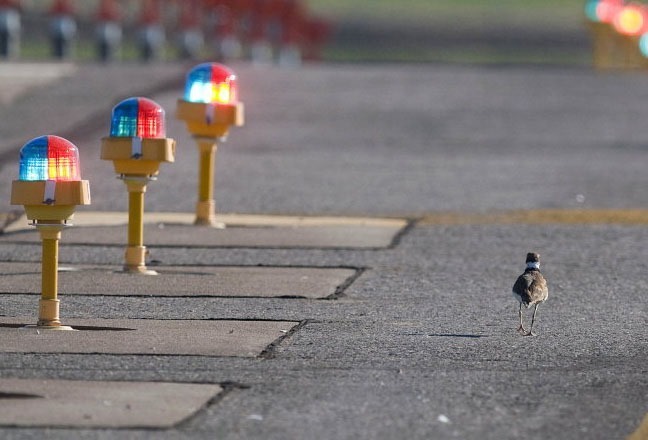 In addition to flying, they had to meet the responsibilities of their rank. 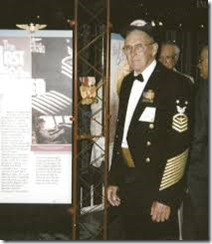 That’s why George W. Webber, Seaman Second Class (NAP), a pilot with Scouting Squadron 3 not only flew off the carrier Lexington, he also had to work in the galley helping the ship’s cooks. 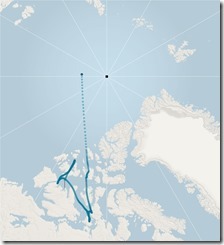 That changed when the Lexington’s CO, then Captain Ernest J. 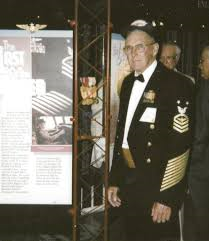 King (later Fleet Admiral King, commander in chief and chief of naval operations in World War II), found out that one of his carrier pilots was mess cooking. Life was the same for the Marine NAPs. During the Battle of Guadalcanal in 1943, Marine Air Group 14 couldn’t find two of its NAPs, both of whom flew the SBD, Douglas’s Dauntless dive bomber. 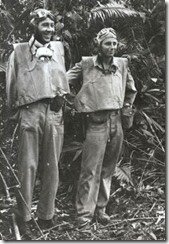 Sergeants Ollie Michael (left) and Rohe C. Jones had been ordered to dig latrines on New Caledonia. They were ordered back to their cockpits immediately. Michael is credited with sinking three Japanese ships in November and December 1943. Jones was killed during his third combat tour. 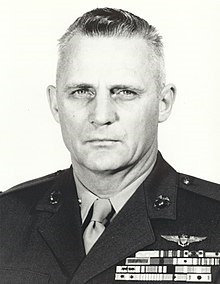 Another Marine NAP, Ken Walsh (above), who earned his wings as a private, later received a commission and the Medal of Honor in 1943, was the fourth-ranking ace with 21 kills. The Navy’s enlisted flight training program ended with World War II, and Congress concluded its requirement for enlisted pilots in 1948. Although the program ended, NAPs in the Navy, Marine Corps, and US Coast Guard, continued to fly for the rest of their careers. 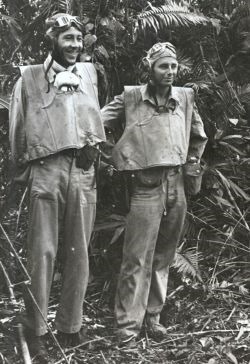 With the postwar reductions, many of them had to surrender the temporary officer commissions given to them during the conflict. The last four Marine NAPs retired on the same day, February 1, 1973. The Navy’s last NAP, Master Chief Air Traffic Controller Robert K. “NAP” Jones, retired from active duty on January 31, 1981. Dan Webb entertains Mr. Simba at Camp Jetwhine. I started Jetwhine 13 years ago amidst breaking news of an Embraer Legacy biz jet having collided in midair with GOL airlines Boeing 737 over the Brazilian jungle. A few years later my friend Scott Spangler joined and since then, we’ve worked hard to tell aviation stories in a way readers couldn’t find anywhere else. 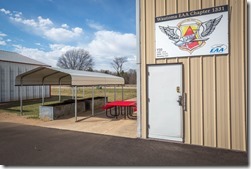 There was another member of the team that only a few people who had ever visited Camp Jetwhine over the years came to know personally; my friend Dan Webb from the Airplane Geeks podcast knew him, as did Steve Vischer and Grant McHerron from the Plane Crazy Down Under podcast, plus a few more. I lost a friend last week, a good one. It wasn’t really a surprise, yet there was that inevitable flutter up to the emergency before the last breath of course, when there was no time to think, only adrenaline coursing through my veins driving me to do something, anything … even though deep inside I knew nothing would help. When I saw our big hound dog Simba on Friday morning, I knew the end was close. Already diagnosed with a weak heart valve and a thyroid problem, his breathing was rapid and labored. His arthritis no longer allowed the big guy to support even is severely diminished weight; it was impossible not to grieve. Hell, I’d been grieving already for weeks. 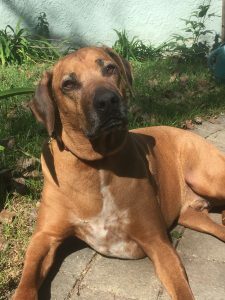 Thirteen years ago, he was an impressive 110-pound Rhodesian Ridgeback, with big meaty paws the size of my clenched fist and a bark deep enough to frighten even the bravest salesman from our front door. The local beat cops told we didn’t need a burglar alarm. Even as a puppy I realized he was clever and funny, if not a bit bossy at times. When he was on a leash he loved most people. He’d stop for almost anyone he thought might realize how impressive a dog he was. When they drew near, he’d lay down on his side looking hurt, which of course made people stop … even passing cars. 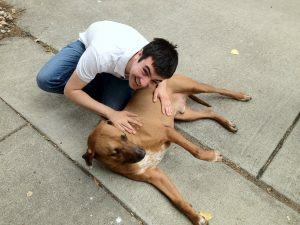 A local cop once offered to drive us to the vet for help, until she realized all he really needed was a tummy rub. Simba knew most of the suckers in our neighborhood. He did have a fatal flaw. I’m sure he must have been sired by goats because he was the most stubborn animal I’ve ever met. At morning walk time, even with the leash already attached, he simply refused to leave the house by the back door; only the front door would do. And 110 pounds of resistance was too much for me. If he wanted a left turn at the corner, suggesting a right was a waste of time. And if he spied a rabbit or a cat, all bets were off. I learned quickly when to let go of the leash.